Pushkar is a laid back town surrounded by hills on three sides on the desert border. 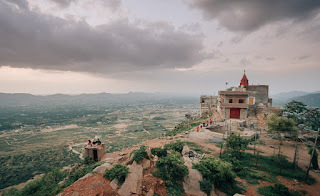 Located in Rajasthan’s Ajmer district in midst of Aravali range, Pushkar is often called tirtha-raj, which literally means the king of pilgrim sites.Also known as the city of temples Pushkar is one of the oldest Indian cities housing over 400 ancient temples. A tour to Rajasthan cannot be completed without visiting the famed and legendary temples especially those of Pushkar.There are several temples in Pushkar and the most famous temple is the Brahma temple.other temple is Lord Brahma's wife Savitri Temple is most popular in Pushkar city.Here is some fact about Lord Brahma's Wife Savitri Temple in Pushkar Rajasthan India. Main Attraction:The temple is situated at an elevation of about 750 ft and a flight of 650 steps. Lord Brahma's wife Mata Savitri Temple is located in Pushkar city of Rajasthan.The temple is situated behind the Brahma Temple and is perched on the peak of a hill.Climbing 702 steps might sound challenging, but magnificent view over the city and lake worth the effort.The temple was built on the top of the Ratnagiri Hill behind the Bramha Temple. 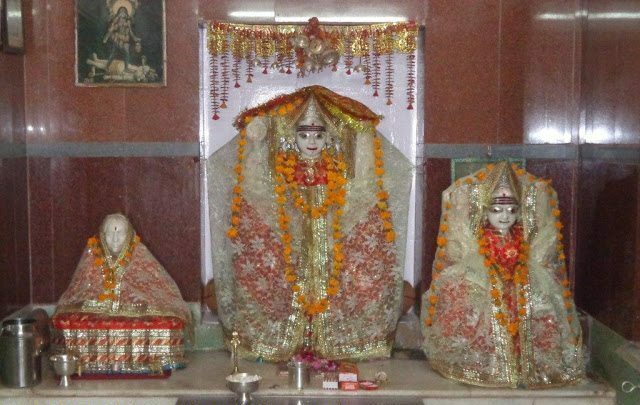 Both the idols of Savitri and Gayatri are installed here. 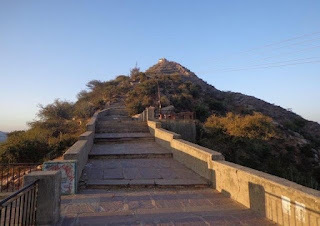 It is believed that Goddess Savitri rested upon this hill on her arrival to Pushkar.The Savitri Temple in Pushkar overlooks the entire town of Pushkar and all the surrounding valleys. 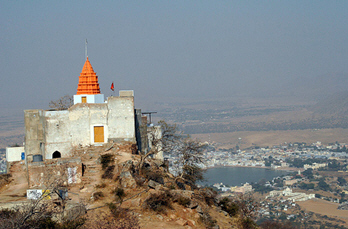 The temple can be spotted while at the Pushkar Lake and the beauty is, the temple is only a fifteen-minute walk from the lake. It really is the most accessible and a great way to enjoy the view over the whole of Pushkar. The idols of Savitri and Gayatri sit inside the temple and are the centerpiece of a room you cannot enter but can look into while offering prayer. The idols are incredibly old, dating back to the 7th century.The Savitri temple in Pushkar boasts of a notable and striking architecture. The excellent design of the temple would surely make you wonder about the amazing skills of craftsmen of past times. 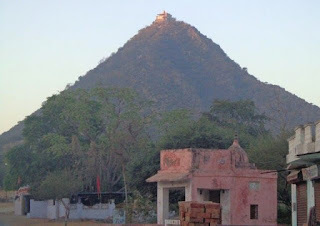 History says that When Brahma performed the yajna at Pushkar, his wife Savitri could not reach the yajna in time. So Brahma performed the pooja with the help of a local girl, Gayatri – who then become the second wife of Brahma. This enraged Savitri and she sulked off to the hilltop. Then the agreement was made that Savitri would always be worshiped first. This tradition still continues, first the aarti is performed at Savitri temple and then at Gayatri temple. Idols of both Savitri and Gayatri are now installed at the Savitri temple. It was nice reading your blog. Marvelous work!. A blog is brilliantly written and provides all necessary information I really like this site. India is also one of the most popular destinations among international tourist. Such a very beautiful blog! Visiting Dharamshala by car is a very good way to enjoy the trip according to your time requirement. If you have any requirements for Taxi Services in India then you can book through our website.